Our mission is to provide customers with the finest service available both locally and nationally. Robert Ramelli and his staff take pride in being a family run company for almost a century. As the history of Ramelli has shown, customer needs are forever changing and Ramelli will continue to provide customers with the highest quality service. As new customer demands surfaced the company expanded and evolved to incorporate a multitude of companies including a Sand Blasting Business, Landscaping and Grounds Maintenance and Facilities Management. For over 30 years, Ramelli Janitorial holds several janitorial service contracts with many high-rise facilities which we have maintained both locally and nationally. Our crew possess the experience to handle all of your maintenance needs because our Management and Technical staff has over 65 years of experience. We also require that our supervisors and custodial staff have in-depth training in the proper utilization of today’s more advanced equipment, commercial strength chemicals and safety tips and techniques that keep up with OSHA’s requirements. In 2005, the landscape of our company shifted when we entered into the Waste Removal business, along with other storm related clean-up entities, in the days following Hurricane Katrina. 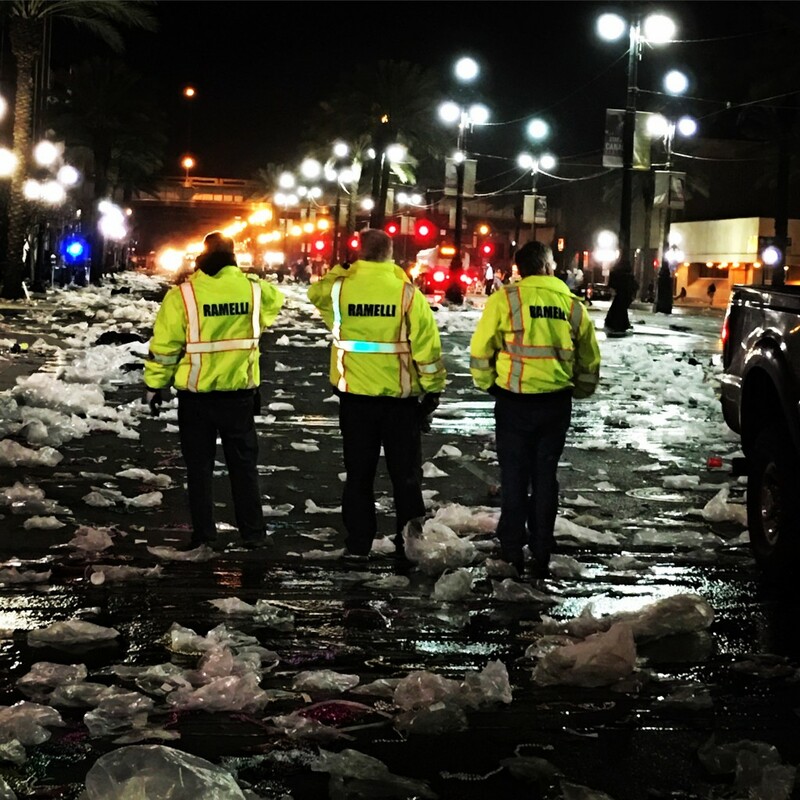 As a first responder to this natural disaster, the Ramelli Group established itself as an innovator in the recovery of the greater New Orleans area. We continue to look at new business ventures that will expand upon our successful operation. We added the Ceramic Tile and Natural Stone Restoration business and are looking into additional service related businesses. We have maintained local and national businesses for over 50 years and understand the importance of providing the customer with the best possible service while striving to stay cost efficient.